Stephen V. Kozak III is an associate at Fitzgerald Yap Kreditor and practices in the firm’s business and real estate litigation departments. 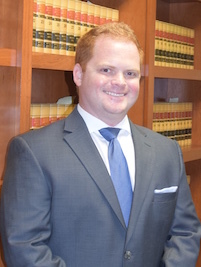 Mr. Kozak received his juris doctor from Hofstra University Maurice A. Deana School of Law in 2013 and earned a Master of Laws in Business Law at Chapman University Dale E. Fowler School of Law. He received his undergraduate Business Economics degree from the University of San Diego in 2009. Mr. Kozak attended each university on academic scholarships. Prior to joining Fitzgerald Yap Kreditor, LLP., Mr. Kozak worked as a contract attorney advising clients on transactional business and real estate related matters. Mr. Kozak also worked as a Real Estate Specialist and has represented corporations, REITS, real estate investors, developers, and custom home builders in processing a broad spectrum of transactions. Mr. Kozak also has prior litigation experience on both the Plaintiff’s side as well as the insurance defense side. While in law school, Mr. Kozak worked for his law school’s Community and Economic Development Clinic. He also served as a judicial extern for the California Court of Appeals, 4th District, Division 3 in Santa Ana and has interned for Orange County’s District Attorney, County Counsel, Public Defender, and was the chief policy intern for former 3rd District Supervisor, Bill Campbell. Mr. Kozak was born and raised in Orange County and is a proud alumnus of Mater Dei High School. When he is not in the office, Mr. Kozak enjoys playing golf, watching sports, specifically the Angels, and participating in civic activities for his hometown of Tustin. Hofstra University Maurice A. Deane School of Law, 2013, J.D.